This statistic illustrates the usage penetration of e-mails as a communication method in different age groups and by gender in France in 2014. 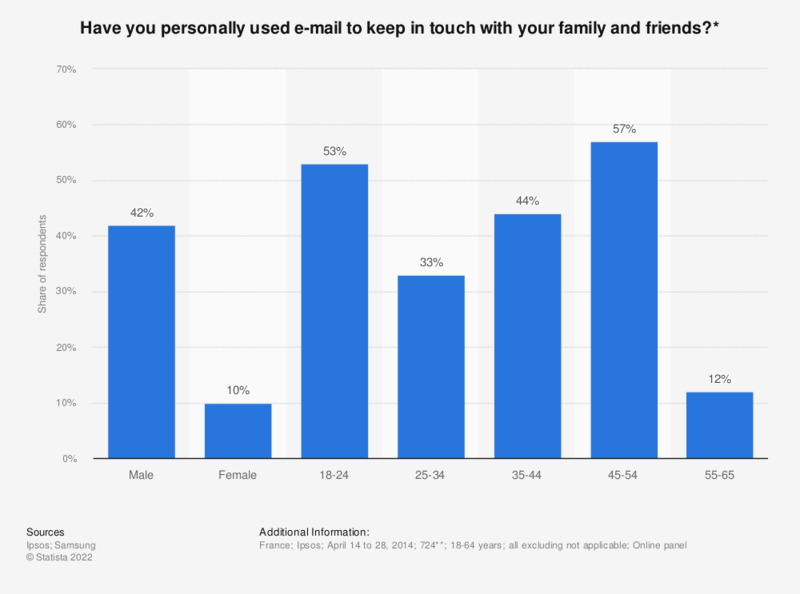 E-mails proved to be most popular with males, and were used by 42 percent of the male respondents. *Number of respondents: male = 865; female = 544; age 18-24 = 849; age 25-34 = 611; age 35-44 = 819; age 45-54 = 873; age 55-65 = 316. What are the three methods of communication that you use most often to talk to your friends or stay in touch with them?